I know what you probably said when you saw the title of this post – ITS ABOUT TIME we get ti stream Beachbdoy workouts!!! And I here ya. This is something that you have been asking for, for years! Its something us coaches have been asking for, for years! 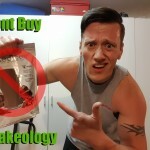 But in Beachbody fashion, they wanted to do this right! Watch this quick video and then we can cover the details and how you can get in on this sweet deal! Now no doubt you have questions about how all this is going to work. Some are worried about cost, some are worried about browsers and iOS, Android yada yada yada…LOL, I have put together a list of questions that address what I feel are going to be a large chunk of people’s concerns. I hope this is helpful, but dont hesitate to post any questions in the comments section that I didnt answer here! When will Beachbody On Demand Launch? Beachbody On Demand is expected to launch spring 2015! What is Beachbody On Demand? Beachbody On Demand is a new feature of the Team Beachbody Club that provides unlimited access to stream Beachbody’s proven fitness programs. 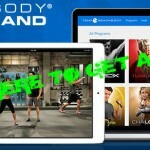 Paid Team Beachbody Club Members will be able to work out anytime, anywhere. Beachbody On Demand includes many of Beachbody’s most popular fitness programs in the digital library, making Beachbody programs easy to access anywhere an internet connection is available. How will it work? Team Beachbody members will automatically have unlimited access to stream workouts from a list of Beachbody’s most popular fitness programs. Once logged into TeamBeachbody.com, Club members will select the Start Streaming tab from the home page, choose any fitness program in the streaming library, and stream any wokout from the program! P90X, P90X2, P90X3, Insanity, Les Mills Pump, Les Mills Combat, Ten Minute Trainer, ChaLEAN Extreme, Asylum Vol 1, Tony One-on-One (vol 1) and Hip Hop Abs. Will the price of the Club membership increase? The price is not increasing in Spring 2015, but may increase in the future. Will a customer need to buy the fitness program to stream? No. Programs inside the digital library come with paid membership. Will streaming workouts be available on Beachbody.com too? No. They are exclusive to TeamBeachbody Club members. Will Club members be able to stream workouts internationally? Yes. They can stream abroad with a valid internet connection. Will free members have access to stream workouts? No, but they can upgrade to paid Club membership easily. Click HERE to upgrade. Will there be an extra cost per workout watched? No. 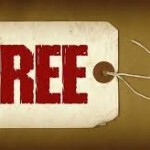 Unlimited access will be included in Club membership at no extra cost. What languages will workouts be available in? All videos will be in English at this time. Will the videos be available to stream in HD? Yes, as long as the computer/device supports HD. Will an IOS or Android App be available? No. Workouts will play on mobile devices via a browser. Will the workouts be available on ITunes, Amazon Prime etc.? No. They will only be available to Club members on TeamBeachbody.com. Will the workouts be available to download and watch offline? No. An internet connection will be required to stream workouts. Will Flash Player be required to play a workout? No. Flash will not be required to play a workout. Click The Button Below To Get Access To These Workouts For $2.99 a week! If you are as excited as I am about being able to stream Beachbody workouts, pleeeeeeeaaaaaase be sure you share this post on facebook or whatever other social media you do. Together, we can literally use the technology that has created obesity…to fight against it! But I need your help! Post in the comments what workouts you are looking forward to streaming!